Published: October 3rd, 2018 by admin. Filed in Outdoor Umbrellas and tagged Café Umbrellas, Cantilever Umbrellas, Commercial Umbrellas, Market Umbrellas, outdoor umbrellas. Congratulations on having decided to purchase an outdoor umbrella! 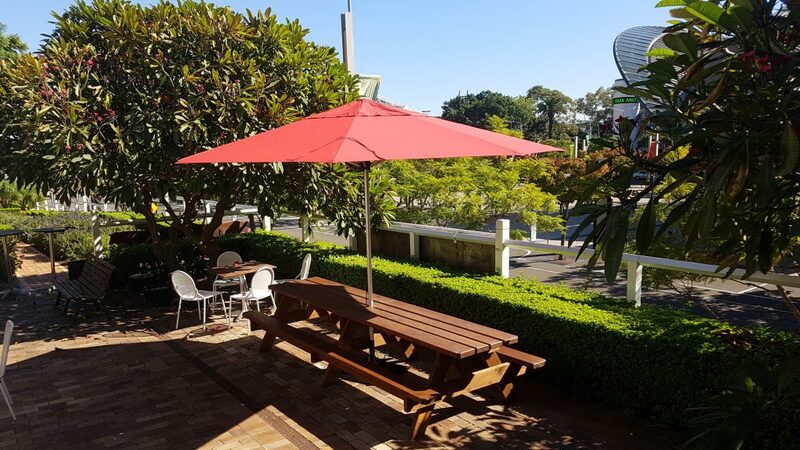 Outdoor umbrellas are a versatile and lightweight shade solution that’ll offer you several benefits, whether you use them at home or your business establishment. But, before you purchase outdoor umbrellas in Sydney, it’s a good idea to know a little about them. Do note that outdoor umbrellas are available in many different types and you need to choose something that is best suited for your needs. To help you out, I’ve compiled a guide to buying outdoor umbrellas in Sydney. Follow this handy guide to be sure that you buy the right umbrella for your needs. In Sydney, outdoor umbrellas come in several different styles. 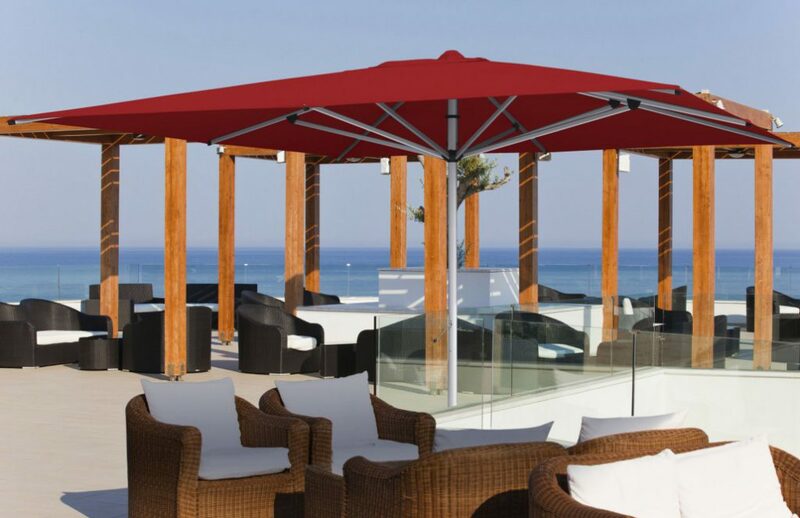 The most common types include cantilever umbrellas, café or market umbrellas and commercial umbrellas. You’ll find all these types of outdoor umbrellas in our range, here at Ashadya Shade Sails & Blinds. 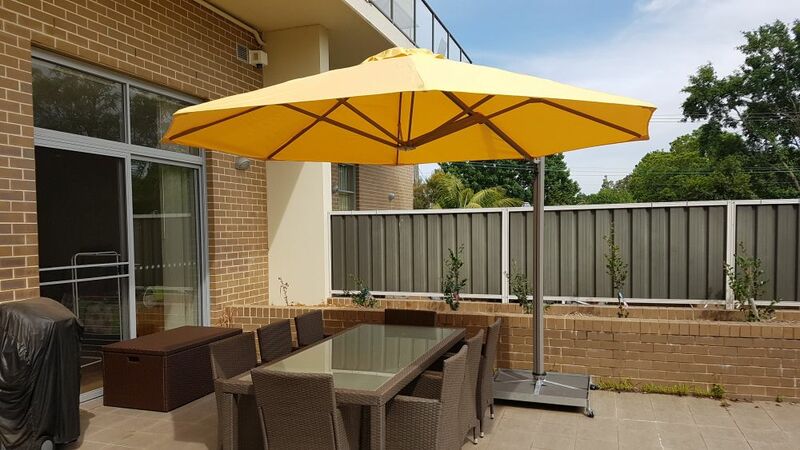 Cantilever umbrellas are a special type of outdoor umbrella which don’t feature a central pole for support. Rather, a support pole is located to the side or outside the umbrella canopy. 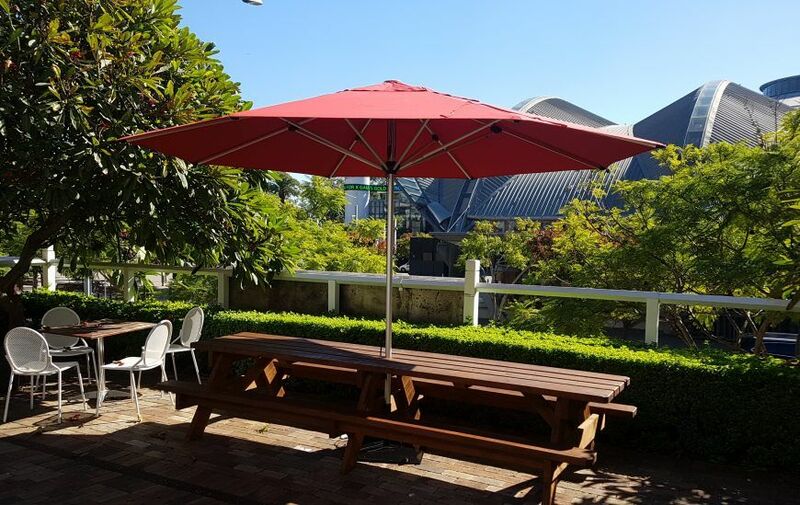 The biggest advantage of cantilever umbrellas is that they provide shade without obstructing the view. This makes them perfect for use in patios, decks, gardens and poolside areas. 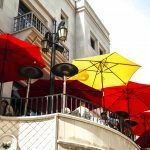 Café umbrellas or market umbrellas are large sized outdoor umbrellas which consist of a central pole for support. They are available in various shapes, styles and sizes and can be customised to meet your requirements as well. These outdoor umbrellas are ideal for use in outdoor business establishments such as cafes and restaurants, pubs and hotels. Commercial umbrellas are heavy-duty outdoor umbrellas which are specifically designed for superior durability. These umbrellas feature a central pole for support, and they are manufactured using premium grade materials and are wind rated up to 200 km/hr. While they are an excellent investment for commercial purposes, they are also great for residential applications as well. The frame materials and the shade fabric are the essential components of any outdoor umbrella. The most commonly used frame materials for outdoor umbrellas are aluminium. Typical shade fabrics include vinyl, PVC coated polyester, acrylic and other solution-dyed fabrics. Here, at Ashadya Shade Sails & Blinds, we make use of non-corrosive, marine grade aluminium frames with stainless steel hardware and top-grade shade fabrics in our outdoor umbrellas. Trust that our outdoor umbrellas exhibit the highest grade of quality and you won’t find better quality elsewhere! Outdoor umbrellas come in a range of sizes and to choose the right outdoor umbrella size, consider the area that should be shaded. Consider if you’ll be adding furniture to the area and then choose an umbrella size that is large enough to shade everything. At Ashadya Shade Sails & Blinds, we offer our café and market umbrellas in many size options, commercial umbrellas in 12 size options and cantilever umbrellas in standard size options. Make sure to consider your shade requirements and choose an umbrella size accordingly. 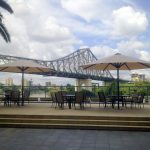 Before purchasing outdoor umbrellas in Sydney, you should know more about them. Outdoor umbrellas come in various types, including café and market umbrellas, cantilever umbrellas and commercial umbrellas. The frame and shade cloth fabric materials are the most important components of an outdoor umbrella. You can choose from many different Outdoor umbrellas size options. For the biggest range and best quality outdoor umbrellas in Sydney, contact us at Ashadya Shade Sails & Blinds. 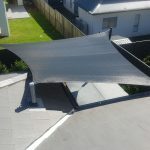 Call us at 1300 570 901 for a free quote on our outdoor umbrellas today!